It’s time you got a Pictory! 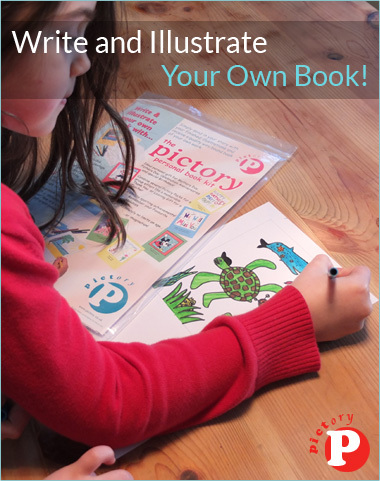 Pictory is a unique gift that captures a child’s imagination, in words and pictures. The author of a Pictory writes and illustrates their own story, be it about fairies and princesses, teachers and school, holiday adventures or how much they love their Granny! The choice of story line is their very own and the list of subjects literally endless. Your Pictory can tell your own story or be used as a “Thank You” gift to a family member or best friend. Perhaps you might write one to remember a special day or time in your life, it’s your choice! 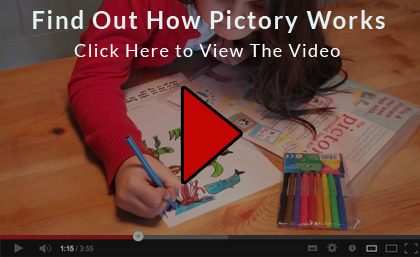 Why not watch the video to see how Pictory works and get some ideas for your own book?